It is a story as old as time itself. I'm sure that it predates rock'n'roll, but it is a paradigm which has appeared so many times within the canon of the sort of bands that I have spent the last four decades listening to, but it hardly bears repeating. Except, of course, that I must - because without the back story the extraordinary tale of Blodwyn Pig would just be another rags to... well, if not exactly riches, then slightly more expensive rags. In the beginning there was Robert Johnson who sold his soul to the devil. The cornute one passed it on to some evangelical promoters in the Thames Valley. The Blodwyn Pigstory begins back in the mid-1960s when a whole generation of relatively privileged white kids in the UK discovered the music of a previous generation of reasonably underprivileged black men living in the southern states of the USA. People quite often forget that Jethro Tull, who are best known for having a personable front man who looked like a tramp and stood on one leg whilst playing the flute didn't start off as a folk band, or even a progressive rock band; they started off as a blues band. Back in the halcyon days of 1967, a couple of members of a Blackpool-based blue-eyed soul band travelled down to the teeming metropolis where they teamed up with two members of a failing, Luton-based blues band. They appropriated the name of the legendary 18th Century agriculturist (inventor of the rotary seed drill, no less) and the rest is history. Except, of course, that it is nothing of the kind. The band signed to the legendary Island Records, home of the cream of what was then known as `the underground`, and during the summer of 1968 recorded their first album This Was. 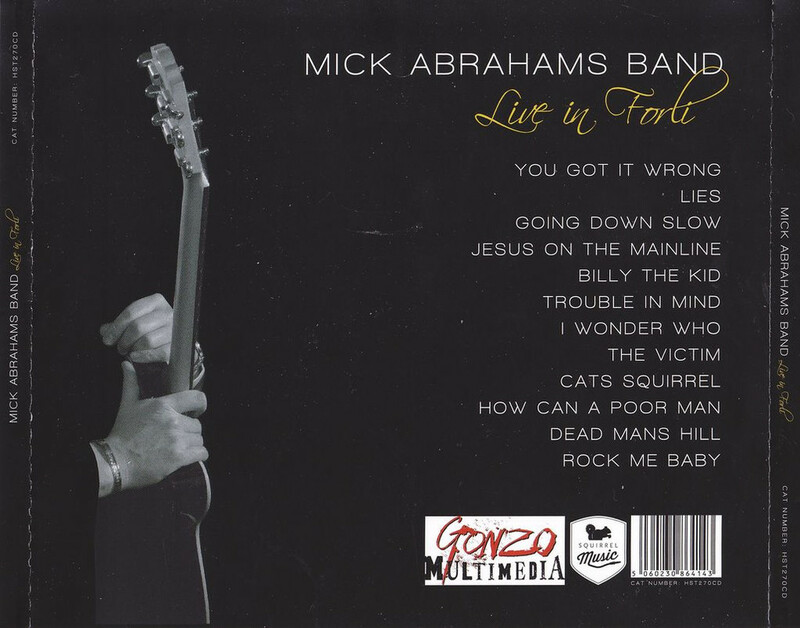 Ian Anderson, the aforementioned gentleman of the rock and roll road, described their music as ‘a sort of progressive blues with a bit of jazz.’ The blues influence came largely from guitarist Mick Abrahams. It was Abrahams who - on the first album - provided the only non-Anderson lead vocal in Jethro Tull's recorded history, and with the benefit of hindsight it is easy to see that both he and Anderson were jostling for position as the prime creative mover behind the band. Unsurprisingly, there was a massive falling out between the pair, and Abrahams left the group. He was replaced by Martin Barre (after brief tenures by Toni Iomni, later as Black Sabbath, and Davy O'List of The Nice) and Jethro Tull did their own inimitable thing for the next four decades. But what of Abrahams? One of the main reasons that he had fallen out with Anderson was that he was a blues purist, and didn't want to follow some of the more esoteric paths that Anderson was to lead the band into. No, he just wanted to play the blues. Robert Johnson hadn't sold his soul to the devil in order to make progressive rock albums about a nine-year-old boy poet. There was a purity and an integrity to the blues, and it was the path along which Mick Abrahams intended to walk. 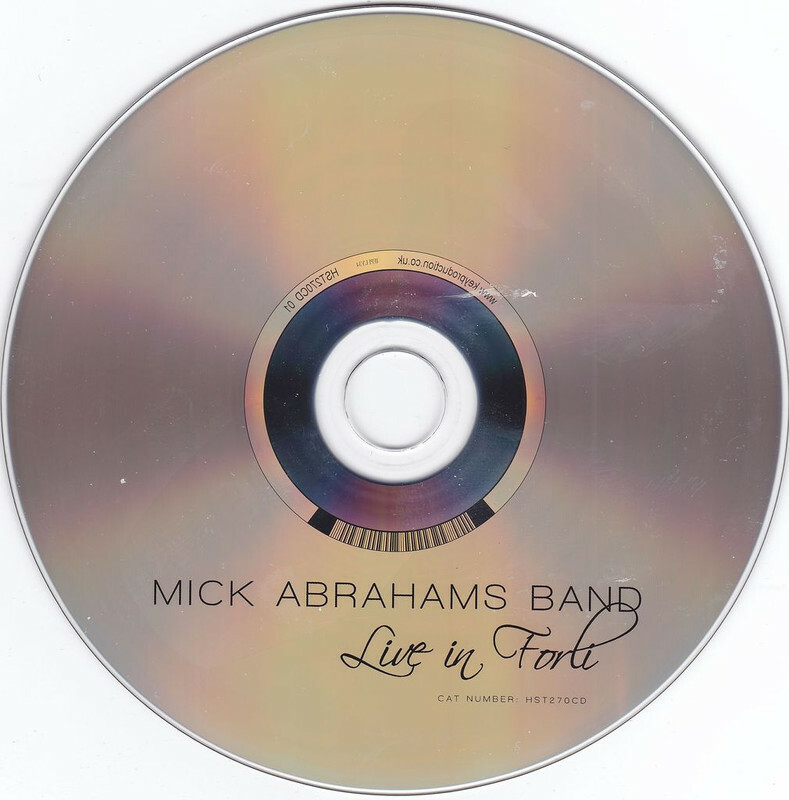 And it is a path that he has walked ever since, both with Blodwyn Pig and under his own name, like this remarkable live album from The Mick Abrahams Band live in Forli, Italy.